For my last exhibition of the year, I am very happy to display some of my pictures at the Yves Radelet. The owners of this very beautiful restaurant have been longtime fans of my work and I am happy that we finally found the time to set up this new exhibition. I'm especially glad to finally be able to exhibit my work further up north in the Grand-Duchy. This will make the exhibition accessible to the people who have been following my work and who might not have been able to come to the city to see my previous exhibitions. The vernissage of the exhibition takes place on 19th November. 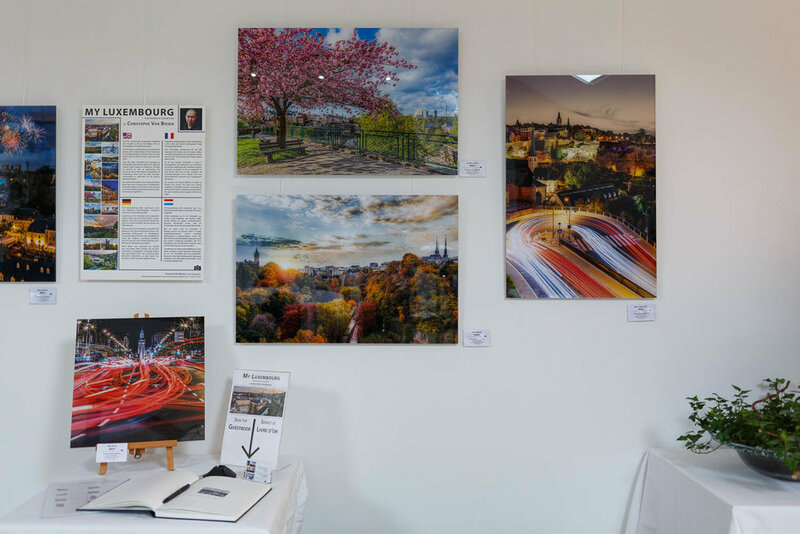 After the Brasserie Beim Siggy, the European Investment Bank and the Centre Culturel Al Schmelz, the Yves Radelet is the fourth location to host the "My Luxembourg"-exhibition this year. Although this time around it exclusively features 12 gorgeous acrylic glass prints of some of my very best pictures made in Luxembourg. The Yves Radelet is an amazingly beautiful restaurant. It has a very cosy and warm atmosphere and you feel right at home. The acrylic glass prints really look their best in the main room of the restaurant. The artworks are truly catching the eye of everyone entering the room. Guests can stop right in front of each photo and have a long and good look. All artworks will remain at the Yves Radelet until February 2017. So I encourage each and everyone of you to go and have a good home-made meal at the restaurant and also enjoy the exhibition. As for all previous exhibitions, I left the Guestbook for all visitors to sign. So if you come by the Yves Radelet, leave me a note. It's always a pleasure reading through this book and discovering new messages after every exhibition.